Without a doubt, this has been a very newsworthy year, historically speaking. There’ve been massive protests throughout the Middle East since the end of last year, and corrupt regimes have been been toppled in Tunisia and Egypt. Civil war has erupted in Libya, sparking international outrage and a coalition military intervention on behalf of the rebellion. 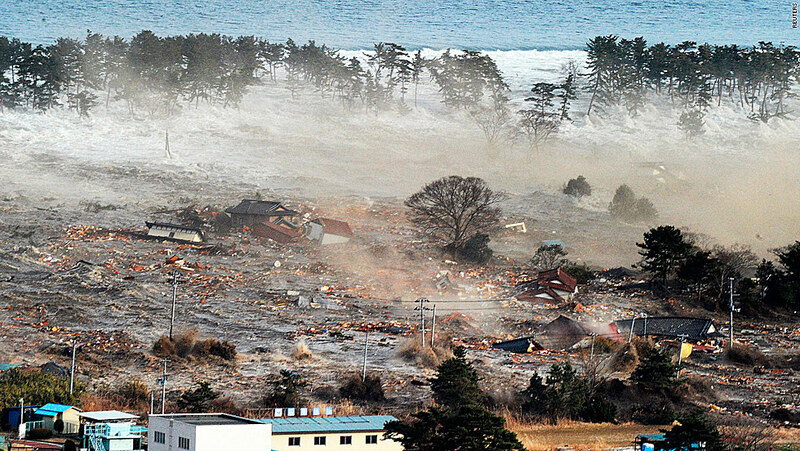 And of course, an earthquake and tsunami of unparalleled ferocity swept across Japan and has set off a chain of events at the Fukushima Daiichi nuclear power plant, causing a new wave of nuclear worries, in Japan and around the world. But in this deluge of enormously significant world events, it’s so easy to lose track of the smaller, yet still significant things going on around us. I say this in particular reference to news and world (or somewhat more local) events. One place I’ve seen this pretty strongly recently is in the coverage (or lack thereof) of the humanitarian crisis in Ivory Coast (or Côte d’Ivoire, in the French spelling) over the presidential election results of last year. Incumbent president Laurent Gbagbo disputed the results, which showed that his opponent Alassane Ouattara had won the election. The country has been in deadly struggle ever since, with Gbagbo using veritable death squads to wipe out opponents and suppress supporters of Ouattara, despite international recognition of Ouattara as the winner. 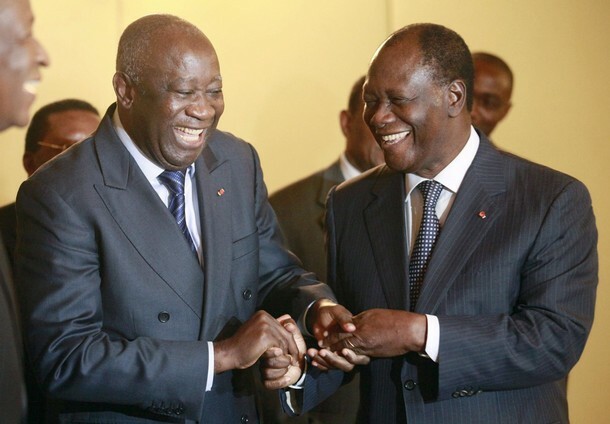 The conflicts have left possibly hundreds dead, and only now is Ouattara beginning to get the upper hand; and not from the international community. This issue is just now starting to become major news. The point I’m trying to make is this: When there’s a lot of big news going on, as there has been (in spades) this year, we tend to forget about smaller things. I’m pretty guilty of this, as you can see in many of my posts and in my most-used tags, but the point still stands. A lot of the time, I focus too heavily on just the big-name issues, as do many others I know. In a way, this connects to another post of mine about why we should all read the news. Just as it’s important to stay up to date on major events in our world through the innumerable media outlets available to us, it’s crucial that we look behind those events, so to speak, to what may be happening in other parts of the world. The conflicts happening in the Middle East now are enormously important of course, but Americans can’t forget about the problems we still need to sort out in Afghanistan. Libya might be big news for the moment, but let’s not forget about what’s happening in Yemen, Syria, and other countries, not to mention Egypt and Tunisia! The devastation in Japan is heartbreaking, but we can’t neglect the disasters happening elsewhere. Above all, this post is a kind of call away from too much focus. Our passion for certain world issues or events shouldn’t keep us from remembering the other crucial things happening in the world, on a local, national, and international level. So stay informed, not just about whatever most interests you, but about whatever is most important to the world! 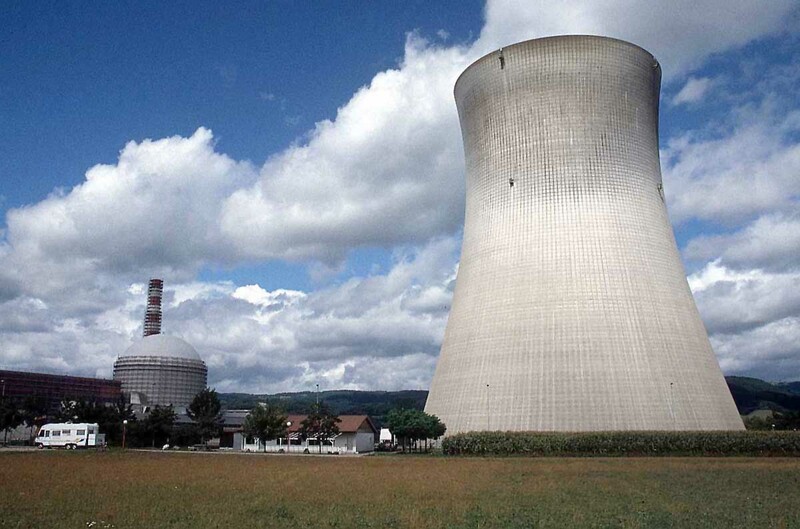 This post is the second installment in a two-part post on nuclear worries. If you’re a little lost, read part 1 here! Thanks. First, radiation has a long history of very negative popular perception (only natural, considering the 20th-century’s long romance with nuclear weapons). Particularly to those who grew up during Cold War times, radiation is a symbol of fear and uncertainty, and it carried with it the threat of foreign aggression. Even now, when nuclear proliferation isn’t quite as much of an issue (though don’t get me wrong, it’s still a concern), at least to the younger generation, nuclear danger is still portrayed as a supreme threat in all kinds of media, even video games. Simply put, radiation is still seen as a grave danger to society by people of nearly all ages and cultures. Second, radiation is invisible. This may sound like an incredibly stupid point to make, but bear with me here! The fact that radiation can’t be seen, especially at dangerous levels, makes it seem like a dangerous and unpredictable killer, and one which we simply cannot do much to stop. Now, while this is true to a certain extent, the fact is that the amounts of radiation typically produced by nuclear power plants are nowhere near enough to be harmful to our health. In fact, it’s been found that coal ash is frequently more radioactive than NPP emissions. Third, radiation spreads, and fast. To add to that, there’s almost nothing we can do to stop that spread, or keep it from affecting people, apart from relocating entire populations, which almost anyone would be understandably hesitant to do. Unlike landslides, forest fires, or even tsunamis, there’s almost nothing we can do to halt the advance of radiation’s spreading. We may be able to predict it, but like a hurricane or tornado, there’s nothing we can do to control or avert it. Fires can be dowsed or at least contained, and floods can be dammed, but radiation spreads no matter what. Finally, radiation has an unpleasant habit of overstaying its welcome, often for a very, very long time. Like a dictator who won’t give up power or a lingering and unwanted dinner guest, radiation is an insidious presence that refuses to be rooted out, at least not without a fight. The greatest damage that radiation inflicts is done over the long term, as it causes long-term cancers and seeps into soil and water supplies. This damage is hard to keep track of or measure, so it has an aspect of nameless dread to it. So it’s easy to see why people fear radiation so much. It’s invisible, it’s silent, it’s trackless, and there’s almost nothing we can really do to stand in its way once it becomes a problem. But if you really look at the numbers, you’ll find that, danger-wise, nuclear has nothing on coal. It’s not an easy thing to say that we need nuclear in the midst of the crisis in Japan, and it’s certainly not the most popular stance in the world for me to take. But unfortunately, our energy needs (and our need for cleaner energy) are simply too great to give up on nuclear power. What really must be done is a tightening of safety regulations on nuclear power plants, and further expansion on research into what must be done to keep plants safe. We can’t prepare for all contingencies, but the events at Fukushima Daiichi have showed the world that we must have well-thought-out plans for emergencies. But the harsh reality is that almost no form of energy is truly 100% safe, no matter what precautions we take. And to move toward a more sustainable energy future, as well as a safer one, we must continue to stand by nuclear energy. Author’s Note: This post was slightly modified on April 2nd, after its initial publication on March 29th. As I write this post, Japan is still reeling and recovering from a devastating trifecta of earthquake, tsunami, and nuclear threat. The country has suffered a terrible three-headed beast of a disaster, and it’s taking a toll, not only on the country, people, and economy of Japan, but on the world’s mindset on nuclear energy. 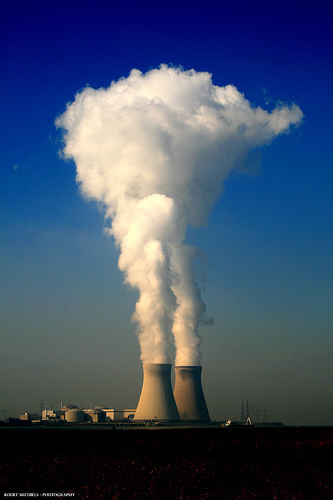 For years and years, nuclear power has been viewed as a viable and clean source of alternative energy in much of the developed and developing world. 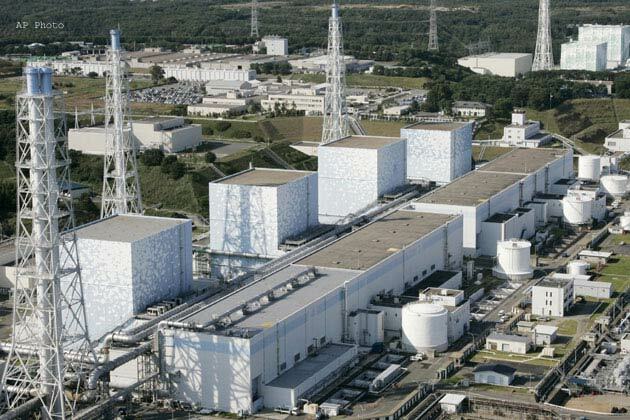 But after the shocking triple tragedy in Japan, there has been growing fear and apprehension towards nuclear power plants and nuclear energy, as the safety of this source is being called into question. Nowhere is this more apparent than in Germany, where seven reactor facilities are being temporarily shut down for safety testing, and Chancellor Angela Merkel has, for what many think is a mix of political and safety reasons, called into question the entire country’s nuclear power supply. This kind of thinking has taken root all across the European Union and in many other parts of the world, including the United States. But is this anything more than hasty reactionary thought sparked by the ongoing crisis in Japan? There was little outcry or objection to nuclear energy sources before the disaster, but since the radiation dangers in Japan have caught international attention, leaders and thinkers have begun to reconsider whether nuclear energy is a safe option. Now, it’s of course natural to look into one’s own energy systems’ safety precautions, especially right after a disaster such as the one in Japan. But the kind of panicked shut-downs and alarm seen in places like Germany in response to the crisis are, in my opinion, blown far out of proportion, and have potential to greatly damage popular perception of nuclear energy. Nuclear energy has given us the opportunity to create quite substantial amounts of energy at little cost to the environment, especially when compared to other sources such as “clean” coal. A 2008 study that examined the relative emissions of a nuclear power plant and a fossil fuel plant found that the fossil fuel plant had emitted around 11 million tons of waste in a year, while the NPP emitted a mere 26 tons. There’s really no arguing that this is one of the cleanest energy sources available to us. Besides that, the dangers of NPPs really do not exceed those of other energy sources, especially coal. It’s estimated that two to three thousand workers die in coal mining accidents every year in China, and explosions and collapses still kill dozens of workers every year in the United States. So why is it that people are so afraid of nukes? Because this post is becoming rather lengthy, I’ve decided to split it into two parts. Check back soon for part two! This post’s title is, I’ll admit, a bit on the direct side, and doesn’t leave much of the content of it up to the imagination. So I’m going to be cutting to the chase much faster with this post than I often do, because it’s an issue that I think is a very important one. As the doors to discovery in our world begin to open wider and wider, we have more and more opportunities to stay informed and up-to-date on what’s happening in the world. Through incredible advances in technology, we’re able to stay informed about events almost as soon as they happen, and even watch events as they happen. So there’s a lot of opportunity and availability out there! But why should we take advantage of it? First, at least in my opinion, the news is both very interesting and very informative. Incredible and important things happen every day, and many of them will have an impact on our lives, whether that’s in a direct or a more tangential way. This is especially true in a financial sense, as events on the other side of the world, such as the tsunami and nuclear crisis in Japan or the conflict in Libya, can have a hefty impact on our lives and livelihoods. 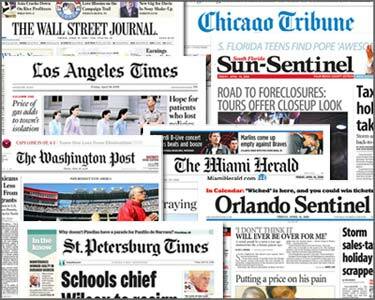 But keeping up to date on current events and news goes far beyond simple self-interest! Every person on this planet is a human being, which means that each and every one of us 6.7 billion homo sapiens has experienced or will likely experience the emotions, joys, and sufferings of life. Of course, few want to endure great suffering or hardship in their lives, but the fact remains that none of us are really able to avoid this. Indeed, these experiences are an integral part of our humanity. But as human beings, we also have the opportunity, if I can use that word, to share our human stories of great joy and great suffering and grow more connected, not only to those immediately around us, but to all people all across the world. I think of the news as a way to do this, to connect with people around the world, even thought they may not know about it. By keeping up on current events, we can make a part of someone else’s life a part of our own, and by doing that we can become more passionate about the world we live in and the people who live in it! Some of the world issues that are the most important to me, such as water shortage, were revealed to me by some news source, and that helped me to become more engaged with the world. People have countless justifications for not being informed about the world and what’s happening in it. Maybe they’re too busy, they can’t afford to subscribe to a newspaper, magazine, or online source, or they just feel they have better things to do. But, as I mentioned before, it’s incredibly easy to stay up-to-date nowadays. It literally takes seconds to visit CNN’s website or drop by the NYT site for the latest headlines. I’m not just writing this as a plug for news sources. I really do think that staying informed about world events, to the best of your abilities, is a very important way of showing care and empathy for other people. It’s one thing to say that you’re praying for the people of Japan; it’s another thing entirely to show that care by involving yourself in their pain and understanding what you might be able to do to help. It may hurt to bring yourself so close to such tragedies that you could just as easily avoid, but I firmly believe that all people should do everything they can to sympathize with and understand each other. Reading the news is a great way to do that.